Join us at Shiner Folk Wellness bootcamp! 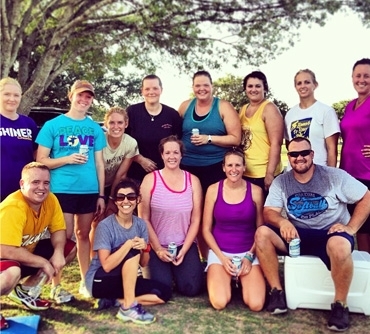 We are a complete mixture of athletic ability, ages, and personalities that bring us all together in our Shiner Folk Family! Currently we are meeting at the football field. We used to meet at the new covered pavilion by the tennis courts and playground, but it’s getting dark earlier and we need the lights. The pavilion is a great spot for us to stay in the shade and also any of those with kiddos, the big playground and tennis courts are near by! (we usually meet at Green Dickson Park). If anything changes, Coach Julie will email or text everyone. Our workouts consist of cardio, weight lifting, games, and a whole lot more. Everyones favorite part about Shiner Folk is everyday we do a different routine and might not do that same workout again for a year or more! We all enjoy our time together and look forward to the next class. We even plan after bootcamp parties to enjoy the company over some food and cervezas! All you need is a mat, some dumbbells, and some water to get started! Come out to Shiner Folk bootcamp and join the fun! 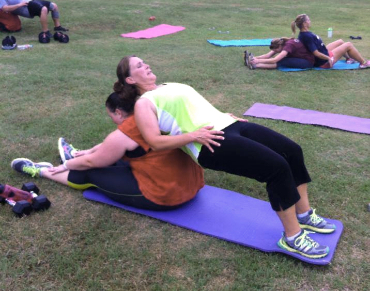 Read more about our other Folk Wellness Co. Bootcamps and Instructors!